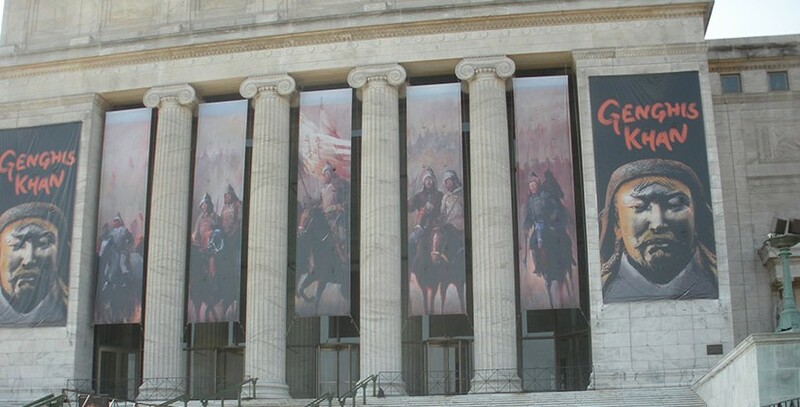 During the summer, the Chicago Field Museum of Natural History featured an exhibit on Ghengis Khan as the main attraction. During the summer, the Chicago Field Museum of Natural History featured an exhibit on Ghengis Khan as the main attraction. It had a lot of interesting history that was not well known as well as various replicas of historic artifacts from various collectors. The other featured exhibit we saw was the Extreme Mammals exhibit, which is still being shown until early 2013. Unfortunately, photos were not allowed in these exhibits. I was even asked to put my cell phone away when I was just checking the time! There are many exhibits at the museum though and it’s definitely worth checking out if you’re in the area. I would like to go back again, as I had a lot to see that day and wasn’t able to spend all day inside. Most of the photos I took were of the dinosaur skeletons, as I have had a long-time interest in dinosaurs and so they were definitely a main attraction for me. The other exhibit I particularly liked was the one on ancient Egypt. Photos were allowed, but due to the exhibit being dark, they weren’t worth taking. Enjoy what I do have below! Here is the T-rex called Sue. It is the largest complete skeleton of a Tyrannosaurus Rex currently discovered. The museum offers a 3D movie on more detail about the finding of Sue, which you can see a poster for in the background of some of these photos. Unfortunately all the movies were sold out by the time we got there that day. Sue was found in 1990 in South Dakota and named after the scientist who found her. As noted by the plaque, Sue is the largest, most well preserved, and most complete Tyrannosaurus found to date. It is estimated that 80% of her skeleton was found. This is Sue’s actual skull. The skull fixed atop the rest of the skeleton is a light-weight replica, as the real thing is too heavy to be supported. The skull is 5″ long and weighs 600lbs. Sue was not the only dinosaur skeleton I took photos of! Here are the rest of my shots below. Parasaurolophus! Try saying that five times fast. Here’s Sue the T Rex again, with me! The Field Museum is a really cool place and if you only have time to visit one of the museums in Chicago during your visit, this is my recommendation. You can learn more about the Field Museum at their website. There are several other museums on the campus though, including Shedd Aquarium and Adler Planetarium, which you can expect to see posts for in the future.